Use the tap to find your way through the labyrinth and back. Only 2000 copies made of this puzzle (most of them were sold back in 1984). 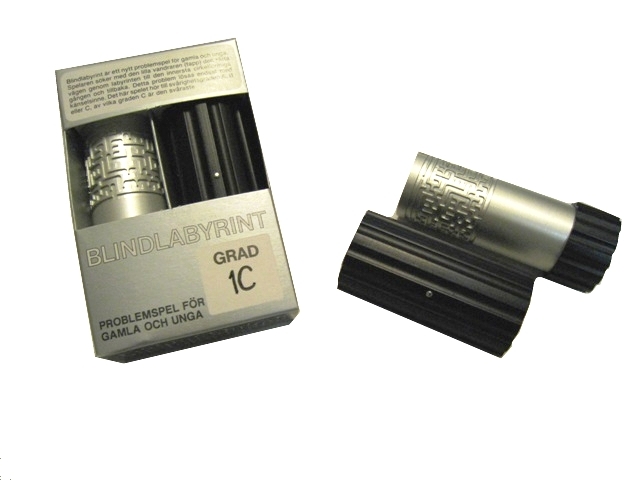 Blind labyrinth was developed by Lauri Kaira in 1983. 1C is the most difficult version of the blind labyrinths. Material: aluminum. Size in box: 11x7.5x3.5 cm (approx. 4.3x2.9x1.4 inches). This product was added to our catalog on 22.07.2008.